The initial stage of the on-line Sinaiticus project is (as already noted) here. The initial stage includes all the leaves currently in Leipzig (43 leaves = 86 pages), comprising portions of 1 Chronicles, 2 Esdras, Esther, Tobit, Jeremiah, and Lamentations. In addition from the British Library portions we have Psalms and Mark’s Gospel, as well as additional BL leaves of the books mentioned above. A complete list of available pages (with links) is here. The web site is very clear, and it is easy to navigate to get to a particular passage. You can choose what to have displayed (image, transcription, translation, conservation notes). Having all the Leipzig pages is very valuable, since the preservation of the Leipzig pages has long been talked about as a problem. It is also possible to compare the images from London with the images from Leipzig. For example, Quire 34, folio 8 verso (1 Chron 10:11 - 11:22) is in the British Library; while Quire 35, folio 1 recto (1 Chron 11:22 - 12:18) is in the Leipzig University Library. The technical people have done a great job in ensuring precisely the same standards for photos taken in different places at different times. It just looks like you move from one page to the next. The Leipzig pages may not have fared so well in terms of preservation, but they are easily readable and the magnification works fine. (There is a bit more difference to be observed if you compare Quire 37 folio 3 verso (Tobit 1:7 - 2:2; Leipzig); with Quire 37 folio 4 recto (Tobit 2:2 - 3:5; London) - the Leipzig sheet is greyer with much less colour and definition, I can’t say whether this is a preservation issue or has some other cause). I wish there was an option to see larger pictures without all the other stuff - at the lowest magnification I somehow can’t even get a whole page at once (on either of my two large screens - perhaps I need a giant screen?). I would like to have a whole screen option for the pictures (the fullscreen button on the left helps only a little). You can’t seem to get whole openings, i.e. eight columns, to get the (intended?) perspective of the codex. Well you can by having two windows at once, but they won’t sync. The only way to get front and back of a page up at the same time is to open two windows, but they (obviously) also don’t stay in sync. I wanted to do this to check bleed-through options in some of the less clear pages (e.g. Mark 16). That is probably pretty hard to programme. It would be nice to be able to get access to the raw photos for some playing around in Photoshop - that would help with some readings, with bleed through, etc. At this stage the images are all protected and packaged - you get access on their terms. Fair enough for the BL et al at this stage, but hopefully there might be ways to get access to the photographs at some point in the future. The print option doesn’t work at all for me, and doesn’t give you much control over what part of the image or at what magnification you want. I can’t seem to find out any details about the digital photography. The web-site says: “To make sure that the images produced were consistent, common standards and imaging practices were established across all venues by the Technical Standards Working Party. The recommendations included equipment (cameras, camera software, lighting, lenses, etc.) and processes (setup, colour profiling, etc. ).” So you can find out who was on the TSWP, but you can’t find out what the technical standards actually are. Seems curious. Something similar could be said about the “Conservation” aspect. The web-site seems to say that although one of the aims of the project was “to devise a strategy that protected the leaves from any possible harm and preserved them for the future” this has not actually happened as yet, since “Conservation treatment of leaves was strictly limited to what was required to stabilise them for imaging.” Meanwhile the team produced an “internationally-agreed terminology for describing and analysing the physical features of a manuscript and, together with the images made available by the project, has produced a model for conservators and scholars around the world” - but again, as yet I can’t see that anyone can get access to this “terminology”. Hopefully some of these are slated for later iterations of the web-site. It seems like Sinaiticus is everywhere these days. I've even managed to get some time with the photos on the web site. But many journalists struggle to provide accurate information. For example, here are three paragraphs from Ruth Gledhill of the Times: Codex Sinaiticus vital for New Testament Study. I reckon there are at least ten clear errors in this brief report, but I thought I would share the error spotting with others. So: justify your accusations and don't get greedy, there are plenty for everyone. Codex Sinaiticus, meaning the Sinai Book, is one of the two earliest Bibles written. The other is Codex Vaticanus in Rome. Written mostly in Greek on parchment, it is treasured by scholars as an unparalleled resource for textual criticism of the New Testament. It is named after the ancient monastery at Sinai where the book was kept for many generations. Some of the Bible is lost but much survives, making up the Christian New Testament and half of the Hebrew Bible known as the Septuagint. There are also two other texts from the 1st century, the Epistle of the Apostle Barnabas and “Shepherd by Hermas”. The pages are not all in one place; the British Library has the biggest chunk, bought from Stalin in 1933 for £100,000. There are still some fragments in Russia and at St Catherine’s monastery in Egypt. It is important historically because its publication coincided with the conversion of Constantine the Great to Christianity and his decision to make it the Roman Empire’s official religion. He may even have commissioned the Bible personally. The Bible was also the first attempt to create a unified canon of both Greek and Jewish Scriptures, and one of the first books produced, if not the first, in a culture still largely reliant on traditional scrolls. Below I will summarize or provide an abstract of just some of the papers from the conference, including of course my own paper and that of Barbara Aland, dealing with the text-critical perspective. This is as far as I have had time to summarize the many papers offered (fifteen). Breytenbach delivered a very broad overview of Marcan research under the headings ”Methodological issues;” ”Traditions in Mark's gospel;” ”On the text of Mark;” ”The date and origin of Mark's gospel”; ”Topics of Marcan research;” ”Resumé.” His handout included a long bibliography of post 2000 publications (Andreas Lindemann had reviewed earlier material in ThR), but the paper covered a broader range of material. Under the heading of my particular interest, ”On the text of Mark” he very briefly mentioned two or three works, Larry Hurtado's work on P45, James Voeltz' study of Marcan style in Codex Vaticanus. I pointed out that he could add James Kelhoffer's study, Miracle and Mission (not the full title) on the Longer ending of Mark published in the WUNT series. I think one should also add the Text und Textwert volumes, and the new tool from the INTF in Münster for examining Synoptic parallels (based on the work in connection with Text und Textwert) soon to be published in the ANTF series, which I think will be important on a broad level. Moreover, Stephen Carlson's recent exposures of archaic Mark and the Secret Gospel of Mark could be added to the list. In his stimulating paper, Sim mostly defended the minority view that Matthew was anti-pauline, especially Jesus' teaching on the Torah reflected opposition to Paul and his teaching, whereas Mark was positive to Paul. Sim argued that Matthew was written to replace Mark and to let it into oblivion, but it eventually survived due to its connection to the apostle Peter. Barbara Aland's paper was the only one delivered in German. But since the full paper was distributed among the audience and she read it slowly, I think most of us could follow. Aland first reviewed the goals, possibilities and limits of textual criticism. She emphasized that we cannot like literary criticism go beyond the initial text, i.e., stages which are not possible to detect in the manuscript tradition. Moreover, she stressed the consistency of the text in the witnesses. They all witness to one single initial text (including aberrant witnesses representing the D-text). The transmission of the text is accurate in principe, but full of distinctive variants that nevertheless do no violence to the meaning of the text. Then she described the transmission in the earliest period and the larger tolerance in relation to textual variation, e.g., reflected in witnesses like P45. However, the textual variants originated from the scribes, who were not working on the text as redactors, interpreters or theologians, but as scribes taking pride in doing their job – copying their exemplar. In the next section, Aland described the method of textual criticism, and stressed the need for refinement of method when it comes to the evaluation of the minuscules. This work is now of course being done at the INTF with the help of the Coherence Based Genealogical Method. 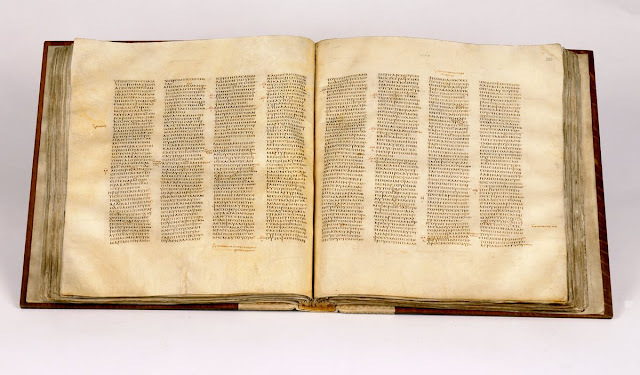 In the Catholic Epistles, for example, the new results have revealed some nine witnesses bearing witness to as good a text as Codex Vaticanus. During the time for questions I asked Aland whether she saw any problem of circularity with the first stage of the CBGM method when local stemmata are worked out in individual places on the basis of external and internal criteria, in terms of a bias towards Vaticanus already from the outset, implying that the method, although useful for identifying witnesses with an akin text, is unuseful for an objective evaluation of the quality of the text. (Cf. Aland's formulation in the English summary, ”Thereby [by the CBGM] new manuscripts of the mass of the minuscules can be gained which are near to the initial text and are to be compared with the quality of 03 (B).” She replied that the large number of cases serve as a control on the method. I basically agree, and I see this initial stage as similar to the Westcott-Hort procedure in proving that the ”neutral” text reflected in Vaticanus and Sinaiticus was superior. However, I am still curious of how this first stage in the CBGM method works in practice. What is the explanation for the high degree of similarity between the printed text of ECM for which the new method has been applied and NA27? Perhaps I will have some answers in two weeks when I go to the conference in Münster. In any case, in Aland's second major part she treated practical examples of textual problems in Matthew in relation to his source in Mark (presupposing Marcan priority). In this part she referred to the evidence provided in the Text und Textwert volumes (of which we got extracts) where available, i.e., in the Teststellen. I cannot go into all of her examples (and she did not have time to do it either), but the treatment did imply that the new results of the CBGM will be important in several difficult passages. For example in passages like Mt 14:30 and 15:4 we have no complete documentation, without which a decision is hardly possible at this point. It seemed to be particularly important in passages where B (03) now stands quite alone and where we are unaware of further minuscule witnesses. ”Ceterum censeo: Wir brauchen die Kenntnis von mehr ursprungsnahen Handschriften.” On the other hand, in a passage like Mt 13:35 where we now have full documentation (Teststelle 40), she thinks the bracket around KOSMOU should now be removed in light of the evidence. ”Any serious study of the Gospels has to begin with the manuscripts and take into account the factor of textual transmission. Recently, a number of scholars in the field of textual criticism have challenged every assurance of certainty in establishing an original text of the New Testament, by questioning the value of the extant textual evidence. The archetype of the textual tradition in their view is still at least 100 years removed from the authors, and during the earliest period there was such a great fluidity and freedom in handling the text that the extant manuscripts are unreliable for the purpose. On the other hand, the same scholars are in effect occupied with the reconstruction of a text beyond the hypothetical archetype of the tradition, not least by appealing to internal evidence such as what the original author would likely have written. One of the basic assumptions of this minimalistic view is the notion that witnesses like P75 and Vaticanus, traditionally labeled Alexandrian, reflect an attempt to establish a controlled text at the end of the second century when the text had developed freely. I have attempted to show that the available material, including newly published papyri, show that the situation in the second century was not so chaotic. A significant majority of the earliest papyri witness to the Alexandrian text. If there was a major recension of the Gospel texts at the end of the second century, one would have expected clear evidence from the manuscripts themselves. I have pointed to several problems of using early patristic sources in isolation from the manuscripts, in order to draw firm conclusions about the state of the early text and its transmission. As for a second-century recension, the candidates capable of such an undertaking are indeed hard to find, more so if the recension was based upon a collation of largely corrupted MSS. I think our best extant MSS reflect a concern for careful copying present in some circles from the earliest time, rather than the result of text-critical scholarship and ecclesiastical control. Nevertheless, they are not faultless in spite of their general superior quality, proven time and time again. We shall not committ the mistake to think that the text chosen by the editors of our current standard editions is virtually certain at every point, and that we can ignore the foot of the page showing significant variants. In fact, the text-critical task will never be finished, but the rich and growing body of textual evidence, the tenacity of the textual tradition, and the refined methods of textual criticism may ensure us that the goal is in reach. The reconstruction of the original text remains an 'impossible possibility'." This was the last paper of the first day, and people were probably rather tired, but the paper was very good and stimulated perhaps the liveliest discussion of all. Becker discussed the methodology of dating ancient literature, and then went on with a comparative study of selected relevant texts in Mark and Matthew trying to find a post quem (she left the question of an ad quem due to time restraint) and a relative chronology between the two gospels. The specific texts were treated under different headings: ”Level of reference:” Mk 10:39-Matt 20:23 (referring to James' martyrdom? ); Mk 12:9-Mt 21:41; Mk 13:”-Mt 24:2; Mk 13:14-23-Mt 24:15-28 and Mt 22:7 (absent from Mk); ”The narrator's perspective:” Mk 1:1-[Mt 1:1] – in brackets because it is only in Mk 1:1 that the narrator reveals his perspective as theologian (messenger of the gospel? ); Mk 7:19c (in Mt not this interpretation); Mk 13:14-[Mt 24:15], Becker calls this a ”Leserappell. Does it go back to Mark or to his source? ; Mk 9:1-Mt 16:28; Mk 13:30-Mt 24:34. Becker concluded that: (1) Matthew is later than Mark; (2) there is no evidence in the texts that Mk and Mt must be dated post 70 C.E. and definitely not to ”safely” date Mk before and Mt after 70. Most of the subsequent discussion revolved around Mt 12:9 and Matt 22:7 and that the latter is ex eventu, i.e., that it must have been written after the destruction of the temple. Becker, who shared Rengstorff's interpretation of the passage thought the passage had been overestimated for dating. Becker personally thinks that the two gospels should be dated post 70 C.E., but her point was that the textual evidence is inconclusive. This paper explored the relationship between the community that stands behind Mark and the community that stands behind Matthew by adding a third text, Q, into the discussion. Youngqvist's thesis is that Matthew had a special connection to Q, a distant one with Mark, and that, therefore, Matthew's and Q's community were genetically related. He compared Mark's, Q's and Matthew's portrayals of the Disciples, Jerusalem and the Law. Aune started by an overview of research on the issue of genre. He especially commended Adela Collin's, who was present at the conference, for her forty-three pages introductory section on genre of Mark in her Hermenia commentary. In his paper, Aune challenged one of the presupposition of the academy, that the four gospels share the same genre, sometimes seen as a revolutionary genre, or as sharing generic profile with one or more ancient Jewish or Graeco-Roman genres. He also questioned the view that Mark must be based on a single model. First, however, he gave an overview of the development of genre criticism. In the second part, Aune proceeded to treat the function of genre in Mark and Matthew. It turned out, however, that he did not have more than some minutes left over for Matthew, so the focus was really on Mark. Unfortunately, I have not had time to edit my loose notes, but when it comes to genre, Aune stressed that Mark was not based on a single previous model (and there was no Ur-Mark). The evangelist included various material and transformed the sources he used by enlarging the scale. Mark is composed of various genres. It has a didactic function. There are several differences as compared to Graeco-Roman biography (here Aune referred to E. Boring), e.g., Jesus is depicted as divine. He will appear again in the end of history. He stills speaks to his community. The drama is episodic not anecdotal. Jesus had communicated God's message, not least through parables, calling for a decision. This level of communication is included in Mark. Aune adds that Graeco-Roman biography was written for the well-educated members of society, the higher strata of the population, whereas Mark was written at a much lower registry than most of the biographies. It reflects the opposition of early Christian's to the dominant social values. The ideological features must have appealed to a core of values for the discource community. On the other hand some features that Boring thought was absent from the gospel, Aune thinks are present, e.g. various acknowledgements, e.g., in genealogies (Matthew, Luke) and at the baptism. Aune ended up designating the genre of Mark as a ”parody” of Graeco-Roman biography. In the subsequent discussion, Adela Collins was not entirely happy about this designation. She rather sees Mark as a transformation of Graeco-Roman biography. She thought perhaps one could term it a ”mimicry” (a term used in colonial discource). Eva-Marie Becker referred to Umberto Eco's description of the tension between creation and repetition; In the connection of creating a new genre, there is always something familiar (continuity) and something new (discontinuity) in it. Becker wanted to see gospel as a development of biography to historiography. This, I believe, is Samuel Byrskog's position (cf. Story as History – History as Story). There were a lot of other papers the second day, but right now it is after midnight so this will be enough. I will hopefully return with more material, perhaps some photos. I can just say that we had a wonderful festive dinner sponsored by the publisher Mohr-Siebeck, just outside of Århus where there was an old mill and a restaurant. Some of us had a guided tour at this mill, and we all thought it was a fantastic experience. My thanks goes to Eve-Marie Becker and Anders Runesson for organizing this conference. I look forward to the second phase of the conference which will take place at McMaster University in Canada next year. Tomorrow I head back to Sweden for the next conference, and after that to Münster. It turned out that Barbara Aland and John Kloppenborg were also attending all three conferences in a row. John Hobbins notified me of his review of the website on his blog Ancient Hebrew Poetry here. versions of the Gospel according to John. The Vetus Latina Iohannes project has been running at the University of Birmingham for a number of years, and has already made available an electronic edition of the surviving Old Latin manuscripts of John at http://www.iohannes.com/vetuslatina/. The post-holder will be a member of the University's Institute for Textual Scholarship and Electronic Editing (http://www.itsee.bham.ac.uk/). I arrived safely in Århus, Denmark today after almost 11 hours of traveling, from coast to coast in Sweden, over the bridge between Sweden and Denmark (the Öresund bridge) and further to Jylland in Denmark. Luckily, the code to the guest house worked fine and the key to my room was in the envelope inside the door. I spent the first part of the evening with one of the participants, and the second part in my room rehearsing the paper, and cutting it down in the last minute. It is supposed to be 40-45 min, leaving 15-20 min for discussion. The ambiguous title is "Implications of Textual Criticism for Understanding the 'Original Text'." I will discuss the term "original text" and the question how far we can reach in the quest for this entity. The final words of the paper (at this point): "The reconstruction of the original text of the Gospels and the New Testament remains an 'impossible possibility'." The paper will be delivered at 14.00 after lunch. Just before lunch Barbara Aland is speaking on "Textcritical Problems in Mark and Matthew. Recent Developments." My fear is that our papers will overlap too much, but perhaps after lunch when I give my paper people will have forgotten anyway, or else they will soon fall asleep. A nice internet-connection in my room might yield more reports from Århus. The (tentative) programme for the Evangelical Theological Society conference in November 2008 is now on-line here. I'm glad to say that this year (compare last year) there is a considerable focus and numerous papers on the issues of Text and Canon (for both testaments) - far too many for me to list (others are welcome to if they want). I didn't spot too many of our ETC blog adelphoi on the list. Up-date: Wieland Willker has collected the papers here (incls Bill Warren and Maurice Robinson; as well as Dan Wallace, Chuck Hill, Stan Porter, and others). If I were looking to make a top ten list of witnesses to the NT accentuation and breathings, which witnesses should I include? I'm guessing that the accentuation in 03 would be important. What is the witness with the earliest complete accentuation of an NT book? I haven't finished reading it yet - just about half way through; but I wanted to say that anyone interested in the subject should drop whatever else they are doing and go and buy it. Then enjoy the wonderfully enriching experience of reading it. He says at the outset: 'I have tried to write a book with as original a shape and as fresh a content as possible.' (p. 2) And he has. Brilliant, lucid, learned, naunced, and able to look at things from lots of different angles. Also provocative, stimulating, informative and interesting. Criticism must wait until appreciation is complete. Up-date: Now I have finished and I enjoyed it to the end. As I noted in a comment I would say this is a post-basic book - although at the same time it doesn't easily 'fit' above any other more basic undergraduate text-book. On the back it says it is a 'handbook for scholars and students'. For me it is the ideal text for my MPhil course. It is a book for researchers and potential researchers in the field. For example, it has a chapter on practical skills in studying manuscripts; it has extended treatments of how to get the most out of Tischendorf's 8th, but nothing on how to use NA27 (except for a reminder not to ignore all the appendices). It nowhere addresses how students can approach textual criticism when dealing with variant readings in NA27 (or UBS4). [This is what students need for exams in our place.] But it tells scholars to always check two or three editions, to use more than one Synopsis, how to set out a digital edition etc. etc. a) there are no pictures of manuscripts in the book, they are all on a linked web-site (advertised as: www.cambridge.org/parker; but actually at: http://itsee.bham.ac.uk/parker/introduction/). This mixing of technologies I did not find very convenient, I probably would have paid the extra for pictures. b) the indices are very selective (you probably wouldn't have to be a genius to figure out how I noticed this) - you can't use this to track Birdsall's contributions to the subject, or even every time a particular manuscript is refered to. On p.5 Parker concludes his discussion about defining 'variant reading' by saying: 'So I repeat: a variant reading is to be defined as "the entire text as it is present in a particular copy".' This is very confusing. There is a way to make this meaningful, but it would be simpler to regard this as a mistake, since throughout the rest of the book a much more normal definition is assumed (e.g. on p. 159). On p. 23, discussing differences between Sinaiticus (plate 3) compared with P66 (plate 1), he says: 'Additional us the use of a horizontal stroke to indicate a nu at line ends'. It is wrong to regard this as a difference from P66, since a glance at the plate of P66 shows this phenomenon already at line 5 of the first page. On p.27, discussing minuscule 461, it is said that while the size is comparable with the papyrus pages of P66, 'on the other hand, it has a quantity of pages - 344 - which would be unsuitable for a manuscript written on papyrus'. "unsuitable" is a strange word to use here, "unusual" would be better and more accurate, since there are papyrus codices with more than 300 pages, even up to 500 pages. Bill Warren's presentation at the international SBL (see previous post), raises the issue that there is no resource out there which you can consult to find out how the major manuscripts punctuate, segment, paragraph and otherwise delimit the textual units of the New Testament. Some of the issues have been discussed in various publications of the Pericope group (also working at the International SBLs). But no one, as far as I can tell, is actually working to provide a Text-Segmentation Edition of the Greek New Testament. (Maybe Bill is?) So I started to wonder about what this resource would have to look like. It would contain detailed information about punctuation and text-delimitation in a range of NT manuscripts. In order to be useful but also finite and finishable, I would suggest focusing only on the full papyri and about twelve substantial uncials, and maybe six minuscules (representing different types). You couldn't do the work mechanically, each manuscript/scribe would have to be studied inductively to get a good feel for their general practice and the different 'levels' of punctuation/segmentation. But displaying the results would be difficult. One way to do it would be to take Sinaiticus as the base text (earliest complete NT text, widespread and interesting punctuation/delimitation) and then construct something like Swanson in order to display other options in the manuscripts. Another way would be to copy the UBS punctuation//discourse segmentation apparatus for use with manuscripts. c) how long it takes to gather and compile the information. The session on Biblical Manuscripts took place this afternoon here in Auckland (Thur. afternoon here that is). Scott Charlesworth from Australia presented a solid paper on the copying practices in the early NT papyri. He compared overlapping texts among the NT papyri to see what types of differences were there. He differentiated the different types of copying processes behind the various papyri, then compared them from various perspectives to see what types of changes were most commonly made to the text in each of the copying processes. When published, his work should provide a solid foundation for discussions (this is part of his dissertation, which has been approved). The second presentation examined the punctuation of 1 Cor. 14:33 with respect to whether the major segmentation break for the WS clause should be in the middle of v. 33 as in N-A, or at the end of v. 33. After reviewing how various Greek New Testaments and English translations have been punctuated, an overview of the grammatical and linguistic evidence for the WS clauses in 1 Cor. and Paul overall was given, followed by a brief summary of the implications of the textual variant in vv. 34-35 for the punctuation of v. 33. Then the bulk of the presentation highlighted the evidence in the manuscripts themselves, with the overwhelming consensus among the manuscripts being that the major punctuation or segmentation break should be at the end of v. 33, not in the middle of the verse. This would result in "as in all the churches of the saints" being applied to the principle of God being one of order, not disorder, and would negate applying this WS clause to verses 34-35. Thanks are expressed to our own Tommy Wasserman as one of the leaders of this section at the International SBL meetings. I came across this article from Haaretz on a new archaeological discovery relating to early Christianity called the Gabriel Revelation (here) which was discovered more than a year ago. Time magazine has a more popular version (here). James Tabor has an interesting rundown with relevant links on his blog (here). No doubt all the major newspapers will carry a story on this one -- if they have not already. The interpretation of the text is dependent on both semantic range of the language and text-critical reconstructions. 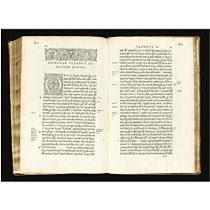 One of the items, lot 36, in Sotheby's Continental and Russian Books and Manuscripts Auction (Sale L08403) in London tomorrow, July 8, is a copy of Stephens' third edition of the Greek New Testament, printed in 1550, formerly owned by Bruce Metzger among others. On the same day, in the Western & Oriental Manuscripts Auction (Sale L08240), a papyrus fragment with Septuagint Psalms 70 and 71 , which formerly belonged to the private collection of the Austrian conservator Dr. Anton Fackelmann (1916-85) is offered. Update: Thanks to Wieland Willker who noted that the text of the fragment is LXX Psalms 69-70. Sothebys apparently has the wrong information. Second update:The Stephen edition was sold for 3,250 GBP, and the papyrus fragment was sold for 17,500 GBP. T.J. Kraus, Ad Fontes: Original Manuscripts and Their Significance for Studying Early Christianity: Selected Essays is reviewed (positively) here by Chris Tuckett. Kraus is publishing collected essays earlier in his career than usual. Perhaps it will inspire others. The Orthodox Corruption (of the Greek scriptures)? Coptic scribes had an awareness that their texts were of a different type than those used within the Imperial Byzantine tradition. "Corrections indeed occur in all [Bohairic manuscripts], yet frequent notes in several state that the corrections are Greek and not Coptic, implying as plainly as possible that the Jacobite Copts jealously preserved a tradition as to the correct readings of their version against Melchite, i.e. Contantinopolitan readings or innovations" (George W. Horner, [ed. ], The Coptic Version of the New Testament in the Northern Dialect, vol. 1 [London: Clarendon Press, 1898], ix–x). Do we have any parallel statements in the Syriac or Latin traditions? Scholars knew that Erasmus' Textus Receptus deviated from the Vulgate. Do we have any formal statements accusing the Greek (Byzantine) tradition of corruption during or before Erasmus' life?